Definitely not your grandpa’s lounger! The sleek, mid-century styling of this recliner is accentuated by Neely Flannel upholstery and exposed Walnut finished arms and legs. A chic row of Black Silver nailheads travels around the inside and outside arm perimeters. 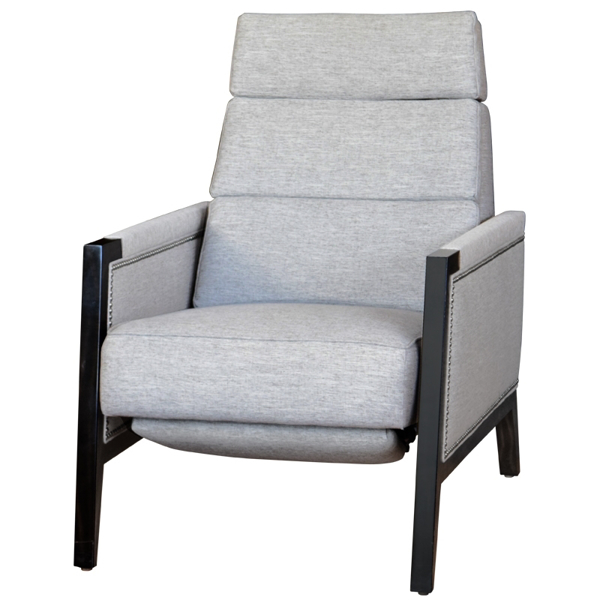 With its streamlined design, this lounge chair adds an air of modernity and sophistication to any room.